Technical assistance is required to develop an urban management and environmental management plan. Once these plans have been done, community infrastructure may be identified some of which could be funded by NDPG, others which could be funded by the private sector and the municipality. Ratanda is an old established township in Lesedi. While significant upgrading and provision of basic services has occurred, the need now exists to concentrate government and community infrastructure along a corridor and create a ‘township CBD”. Building Ratanda exhibition and monument into an iconic and professionally run exhibition centre. Improve the link roads with improved lighting, street furniture etc. These are three small areas in Lesedi which either lack or have dilapidated economic, community and social infrastructure. Design frameworks are required to pull together existing facilities into hubs or nodes which can include sport and recreation facilities, a government services hub and a multi-purpose hall, with a focus on providing activities for young people. The Evaton Renewal project (ERP) commenced in 2004/5 financial year as one of the two urban renewal projects implemented by the Gauteng Provincial Government. It covers the greater Evaton, Sebokeng Zone 3, 6, 7, Beverly Hills, Evaton West, Palm Springs, Evaton North, and Evaton, Small Farms. As part of its turnaround strategy, the ERP re-engineered the project in the current financial year so that it could be properly positioned to address the fundamental issues of the people of Evaton. This involves the reviewing of strategies and priorities so that the process of change could be accelerated and the outputs thereof become visible. The strategic approach and the overall planning for the Evaton renewal project have been completed. The Evaton urban renewal is an ongoing programme spearheaded by the Gauteng Department of Housing. The Renewal Master plan consists of precincts developments. The Master Plan has broken the overall project into several Precincts. These include the Eastern, Western, Government / Sports and Heritage Precincts. Upgrading of roads including the route of the Boipatong massacre to include paving, street lighting, memorial stones and heritage information kiosks. Upgrading of cemetery and other community facilities in the environs. Integration of the heritage project already under way by DPTRW into the above. Funds could then be sourced from the Gautrain CSI budget for the CAPEX. Public art, greening and other forms of beautification which will make the corridor an attractive entrance to the Vaal, bearing in mind that the road leads to the hospitality areas along the Vaal River. Zone 11 as a social/community hub due to plans by the Gauteng Department of Social Development to build an ECD and elderly centre in this area. Already, the Department of Housing 20 Prioritised Township Programme has developed a concept design for Zone 17. This would need to be further investigated in terms of feasibility and business plans developed. In respect of the other areas, the precinct plan would need to be developed, their feasibility established and then business plans developed which could be funded by NDPG, other spheres of government and the private sector. Mamello is a small township/informal settlement on the banks of the Vaal Dam. While there have been plans to move the informal settlement, the predominant view at the moment is to relocate it to an identified area within the established township of Vaal Marina. An urban design framework is required, followed by proposals for community and social infrastructure to upgrade the area into a proper community. Some of the business plans would be funded by NDPG, but other funding sources could also be sourced. Lakeside is an RDP dormitory town adjoining Evaton in Midvaal. Doornkuil is a proposed new affordable housing development by a private sector developer (Basil Read and Old Mutual). They are planning to build 18 000 affordable housing units. Challenges of Sanitation Services Facing the Region. The Sedibeng region is growing faster than anticipated because development and developers have started moving south of Johannesburg. The challenge is that the sewer capacity of the region is currently unable to contain the present needs, let alone the future ones. The sewer system of Emfuleni and Midvaal is currently running at its full capacity, meaning that any breakdown due normal mechanical and maintenance needs reduces the system capacity thereby resulting in effluent treated not to the required standards. Rand Water, in consultation with DWAF, placed a moratorium on development in the region until the sewer system capacity is increased in size to cater for the current needs and future growth. Importance of a Regional Sewer Development. The Sedibeng GDS has put forward some ambitious development strategies that support a 20 to 25 year vision. Some of the strategies have been translated into strategic programmes named (Urban, River, and Township) Precincts Development and Vaal 21. The challenge is that these programmes can only fly if their corresponding development potential can be supported by the sewer system capacity of the region. Given the challenges of sanitation services described above, it means that the Sedibeng Regional Sewer Scheme project has to happen for the Sedibeng GDS to materialize. The Sedibeng Regional Sewer Scheme (SRSS). The planning of the SRSS is far advanced wherein service providers have been appointed to tackle the issues of technical, institutional and financing. The proposed design capacity of the new Waste Water Treatment Works (WWTW) of the SRSS is 150 Ml/day for a lifespan of 2025. The preliminary cost estimates at February 2009 is R 1.27 billion (excluding Fees and Vat) or R 1.62 billion (including Fees and Vat). The site for the proposed WWTW has been identified and approved for further technical work, e.g. geotechnical studies. The recommendation received is that the design and construction of the new WWTW need to commence as a priority and that this work needs to be done in the 2009/10 year. The construction of the new works needs to be in units of 50 Ml/day, staggered to spread the cash flow. Challenges, Impacts, Development, and Remedial Actions. Air quality and its management are important as it affects factors of life such as the environment and the health of its inhabitants. For example, acid deposition, smog, atmospheric ozone loss and the much aired greenhouse effect are some of the drastic effects of air pollution and poor air quality on the environment. The human health effects of poor air quality are far reaching, but principally affect the body’s respiratory system and the cardiovascular system. The health effects caused by air pollutants may range from subtle biochemical and physiological changes to difficulty in breathing, wheezing, coughing and aggravation of existing respiratory and cardiac conditions. Air quality management is thus crucial as it is primarily the minimization, management and prevention of air pollution, which aims to improve areas with poor air quality and maintain good air quality throughout. DEAT is responsible for regulating all industries and other enterprises undertaking so-called “scheduled processes”, i.e. processes listed in the second schedule to the Atmospheric Pollution Prevention Act (APPA, Act No. 45 of 1965) which has the potential to release significant quantities of pollutants to the atmosphere. 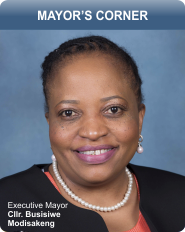 The Minister of Environmental Affairs and Tourism declared the Vaal Triangle Airshed as the first national priority area in terms of section 18(1) of the Air Quality Act (Act No. 39 of 2004). The Vaal Triangle Airshed Priority Area (VTAPA) was declared as a priority area due to the concern of elevated atmospheric pollutant concentrations within the area, especially fine particulate matter. In terms of section 15(2) of the Air Quality Act each municipality is required to develop an Air Quality Management Plan (AQMP). Such a plan must be included in the municipality’s integrated development plan as contemplated in Chapter 5 of the Municipal System Act (Act No. 32 of 2000). Give effect to best practice in air quality management. The projects that have been proposed for inclusion in the 2009/10 IDP for the realization of the above objectives are i) the development of the Sedibeng AQMP, ii) the development of the Sedibeng AQMP Bylaws iii) the development of the Infrastructure Asset Management Plan for the Sedibeng air quality stations, iv) the establishment of the Air Quality Management System in the SDM and the Locals.